each requiring you to write an essay that is roughly 500 words in length. 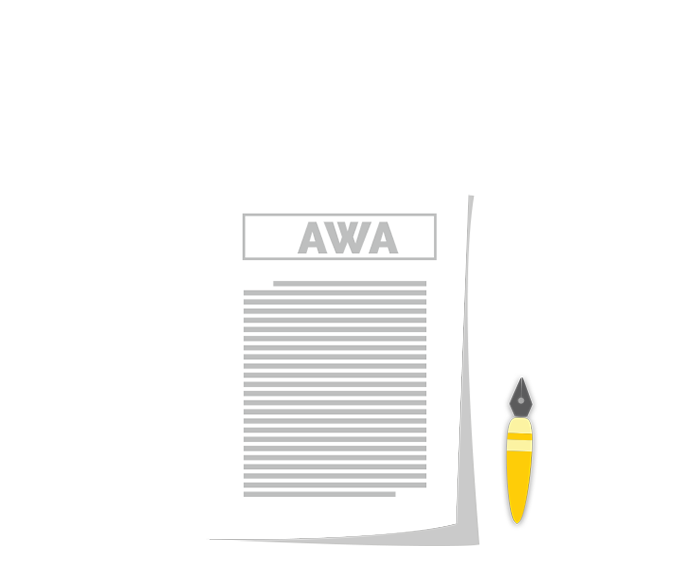 With an idea of how important the AWA is, and what it is all about, let us take a detailed look at both the issue, as well as the argument tasks. The 'issue' task presents an opinion on a topic of general interest, which is followed by specific instructions on how to respond to that issue. The 'issue' task assesses your ability to think critically, while also evaluating your skills at clearly expressing your thoughts about the topic, in writing. Each topic in the ‘Issue Task’ makes a claim that can be discussed from several different perspectives and applied to diverse situations or conditions. You are required to present a compelling case to justify your own position or stand on the issue. What is important for you to understand is that unlike the verbal and quantitative reasoning sections, there is no right answer in the AWA section. In fact, as far as the raters are concerned, there is not even a pre-defined correct position to take. You will be assessed only on the skill and logic with which you address the specific topics while sticking to the instructions. The raters evaluate your ability to articulate and develop an argument to support your evaluation of the issue. The best way to teach - whether as an educator, employer, or a parent - is to praise positive actions and ignore negative ones. Discuss the extent to which you agree or disagree with the statement, and explain the reasoning for the position taken. In developing and supporting your position, you should consider ways in which the statement might or might not hold true and explain how these considerations shape your position. The recommendation presents a view that I would agree is successful most of the time, but one that I cannot fully support due to the “all or nothing” impression it gives. Certainly, as an educator, I agree completely that the best way to elicit a positive response from students is to make use of their positive energy and then encourage actions that you would like to see repeated. It is human nature that we all want to be accepted and achieve on some level, and when people in authority provide feedback that we have done something well, the drive to repeat the action that was praised is bound to be particularly strong. This blanket statement would obviously pay dividends in situations in which a teacher desires to have students repeat a particular behavior. For example, if an educator is attempting to teach students proper classroom etiquette, it would be appropriate to openly praise a student who raises his or her hand when wishing to speak or address the class. In such cases, the teacher may also help shape positive behavioral traits by ignoring a student who is trying to interject without approval from the teacher. In fact, the decision to ignore students who are exhibiting inappropriate behavior of this type could work very well in this situation, as the stakes are not very high and the intended outcome can likely be achieved by such a method. However, it is important to note here, that this tactic would only be effective in such a “low-stakes” situation, as when a student speaks without raising her hand first, and not situations involving grave moral turpitude. As we will discuss below, ignoring a student who hits another student, or engages in more serious misbehavior, would not be effective or prudent. To expand on this point, it is important for teachers to be careful when working with the latter type of students, only ignoring negative actions that are not serious. Take for instance, a student, whose only misdemeanor involves engaging in casual conversation with fellow classmates when the class is in progress. This student might not be presenting much of a problem and may be simply seeking attention. Ignoring the student might, in fact, be the best solution. Now assume the negative action involves stealing or the bullying of a fellow student. To ignore these negative actions would be absurd and negligent. Now you are not only allowing a problem to persist, one that could potentially lead to much bigger and more dangerous issues, but also subliminally sending out the message that it is alright for the student to engage in such type of behavior, without any fear of retribution. In a more serious situation, addressing the negative actions quickly and properly could stop the problem it in its tracks. It is for reasons like this, that I do not advocate the idea that a teacher can be successful by simply ignoring negative actions. I do, however, greatly support the idea that the central focus of teaching should be to build on, and encourage positive actions. Perhaps a better way to phrase the statement would be to say, “The best way to teach is to praise positive actions and ignore negative ones that are not debilitating to the decorum of the classroom, or to the safety of any individual”. Thus, in the original statement, there are indeed some good intentions, and there could be a lot of merit in adopting its basic principles. Data proves that positive support can substantially increase motivation and the desire among students to contribute to positive achievements. In fact, most studies of teaching efficacy indicate that praising positive actions and ignoring negative ones can create a more stable and efficient classroom. It needs to be stressed, however, that this tool is only effective at certain levels of misbehavior. As mentioned above, when the behavior is precipitated by feelings of revenge, power or total self-worthlessness, this methodology will likely not work. It is likely to be very successful, however, when the driving cause behind the action is simple attention-seeking behavior. In many of these instances, if the teacher demonstrates clearly that inappropriate behavior does not result in getting the kind of attention the student seeks, they are more likely to seek the right sort of attention by behaving in accordance with basic classroom etiquette. Should the student choose this path, then the ignoring has worked and when the positive behavior is exhibited, then the teacher can utilize the first part of the theory and support or praise this behavior. Now it is much more likely to be repeated. If the student does not choose this path and instead, chooses to raise his/her aggravating actions to a higher level that presents a more serious issue, then ignoring alone cannot work and other methods must be employed. In conclusion, one can acknowledge that the statement does indeed mean well, but does have its share of potential flaws, if followed in entirety. As you have seen in this sample issue task response, you have been asked to discuss the extent to which you agree or disagree with the given statement. While your response may vary from strong agreement to strong disagreement or qualified agreement to qualified disagreement, you must explain the reasoning behind your response and consider how the statement might or might not hold true. The essay above, rather than simply agreeing or disagreeing with the statement, presents an insightful position by providing examples and evidence to support the argument. The writer, throughout the essay, conveys ideas fluently using effective vocabulary and sentence variety, providing a solid reasoning for his views on the matter. It is therefore clear, that the issue task tests your ability to think critically about a given topic and your ability to express your thoughts clearly in writing. The argument task evaluates your ability to understand, analyze and assess arguments according to specific instructions and express your evaluation clearly in writing. An argument task consists of a brief passage in which the author makes a case for some course of action or interpretation of events by presenting claims supported by reasons and evidence to back any claims made. The task at hand in the argument essay is to discuss the logical soundness of the argument, instead of agreeing or disagreeing with the position it presents. This requires a critical examination of the author’s line of reasoning and use of evidence. The Argument task requires you to demonstrate your critical thinking, perceptive reading, and analytical writing skills. Let us have a look at a sample argument task. Following is a sample argument task that you might see on the test. In surveys Mason City residents rank water sports (swimming, boating and fishing) among their favorite recreational activities. The Mason River flowing through the city is rarely used for these pursuits, however, and the city park department devotes little of its budget to maintaining riverside recreational facilities. For years there have been complaints from residents about the quality of the river's water and the river's smell. In response, the state has recently announced plans to clean up the Mason River. The use of the river for water sports is therefore sure to increase. The city government should, for that reason, devote more money in this year's budget to riverside recreational facilities. Citing surveys of city residents, the author reports the residents' love of water sports. The scope and validity of that survey, however, are not entirely clear. For example, the survey could have asked residents if they preferred using the river for water sports or would rather like to see a hydroelectric dam built instead. The sample may not have been representative of the entire city's residents, asking only those residents who live upon the river. The survey may have been 10 pages long, with 2 questions dedicated to river sports. We just do not know. Unless the survey is fully representative, valid, and reliable, it can not be used to effectively back the author's argument. Additionally, the author implies that residents do not use the river for swimming, boating, and fishing, despite their professed interest, because the water is polluted and smelly. While a polluted, smelly river would likely cut down on river sports, a concrete connection between the resident's lack of river use and the river's current state is not effectively made. Though there have been complaints, we do not know if there have been numerous complaints from a wide range of people, or perhaps from one or two individuals who made numerous complaints. To strengthen his/her argument, the author would benefit from implementing a normalized survey asking a wide range of residents why they do not currently use the river. Building upon the implication that residents do not use the river due to the quality of the river's water and the smell, the author suggests that a river clean-up drive will result in its increased usage for recreational activities. If the river's water quality and smell result from problems which can be cleaned, this may be true. For example, if the decreased water quality and aroma is caused by pollution by factories along the river, this conceivably could be remedied. But if the quality and aroma results from the natural mineral deposits in the water or surrounding rock, this may not be true. There are some bodies of water which emit a strong smell of sulphur due to the geography of the area. This is not something likely to be affected by a clean-up. Consequently, a river clean up may have no impact upon river usage. Regardless of whether the river's quality is able to be improved or not, the author does not effectively show a connection between water quality and river usage. A clean, beautiful, safe river often adds to a city's property values, leads to increased tourism and revenue from those who come to take advantage of the river, and a better overall quality of life for residents. For these reasons, the government may decide to invest in improving riverside recreational facilities. However, this author's argument is not likely to significantly persuade the city government to allocate increased funding for the same. This sample argument essay follows the task directions and gives a clear picture by specifically detailing the impact that different pieces of evidence would have on the argument. The variation in sentence structure, use of effective vocabulary, and precise analysis of facts presented by the test taker, make this essay an insightful one. You are allotted 30 minutes for each essay. Writing a 500-word essay within 30 minutes might seem to be a daunting task. 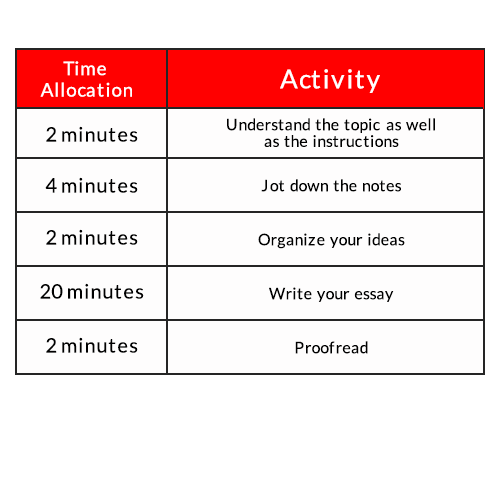 However, writing an essay, and a good one, within 30 minutes is possible if you know how to manage your time efficiently. We hope you found this article helpful, and you now have a good idea of what is expected from the test taker in the issue task and the argument task.To know more about how to score in the essay section, click here. Want to find out how you can get a 4.0 and above on your AWA? Download the exclusive GREedge guide now!